Very please with the service at this facility.Highly Recommend this facility to friends and family. Staff/Crew work as a finely working machine. I am a personal friend of manager, Brian Teague. I always ask if he's in when I visit. He had the day off. The place ran flawlessly without him! That is a strong indication of Brian's management style and effectiveness. I appreciate knowing a business is well run without the manager present. The rep did an amazing job answering my questions and explaining issues with my car. He was also really friendly and polite. I loved that I could stay in the car. This was my first time at a Valvoline. This is the only place I trust with my car. I would do more and gave further services but as newly divorced funds are tight. This is my second time using this Valvoline Center. My daughter uses them as well. Both of us moved to the area a year ago and was greatful to find technicians skilled and with great customer service. Steve was great - thanks! Everyone was truly helpful and professional. This was my second visit and took my wife along. I explained to her before our visit that she was about to experience the best oil change ever. Needless to say she was highly impressed and will now bring her car there as well. She commented to them that they acted like medical professionals. Thanks. Tech was extremely friendly and not pushy about purchasing other services. I have to say that in the past weeks I've had both my cars at the Valvoline in Stroudsburg. I called the Manager over to tell him how pleased I am with his staff, especially with Anders, the young many who helped with my old 2000 Buick Regal! He is so knowledgeable and really polite and really helpful! I've never had any problem in all the years I've been a customer, but this past time, Anders has made it even better! I will always recommend Valvoline in Stroudsburg! Bravo!!! Great job! Great training! Great customer service. Many thanks. The service, communication and not being pressure but made aware of things that were worn. Quick service. Manager on site very personable/friendly at Stroudsburg store. The men that work at this location are extremely friendly. Very knowledgeable in the work. The staff members were truthful and thorough. They were also quick. The staff was efficient, friendly, and knowledgeable. The whole process only took 15min which is very convenient for me. I already have 2 people that are going to go here for their next oil change based on my experience. Their seemed to be some standing around of top side employees as I waited for services to be performed. It seemed like their might have been only one guy below working on cars as all three bays were occupied. It took a little longer than I expected as I waited for them to put the under shield back on the car. Ease of visit, speed of service, no appointment necessary. Anders, the gentleman who assisted me, was very helpful. He also checked my tires and gave me recommendations on where to get some new ones, which was much appreciated. The service was quick and efficient, and easily understood. He gave me appropriate recommendations. Quick & easy. No pressure into buying additional services, just friendly recommendations. The price for my oil change was much higher then mavis where I usually get my oil change at for my bmw. The price for the belt was overpriced for a simple off-brand belt. Always quick and friendly service. The staff are great and the way they all work together double checking things is impressive. A nice touch is when the oil change is completed, they show you the new oil on the dipstick indicating its been changed and at the proper level. The facility is always very clean and orderly. Brian and his staff are always a pleasure to deal with. Entire experience was pleasant and the representative was knowledgeable. Love the fact that I dont have to leave my car somewhere and its fast, done, and I can keep moving through my day. I am at the Stroudsburg location frequently as I am always greeted in a friendly manner and the service is always done quickly and completely. I was from out of state and the service was as good as the one in my home town. Very professional and courteous technicians. waiting outside to enter facility was a little longer than usual! The staff kept me informed and asked permission before doing everything. I like that I can wait in my car for the oil change and it’s fast service. The rep was nice and courteous. They are friendly, quick and know what they are doing. They were thorough. I’ve never had a safety inspection with an oil change before. He explained my options throughout the process. But what impressed me the most was when I asked about their closing time. I arrived at 5:30, but saw a car arrive almost at 6:00. I thought too bad for that guy, but they took him!! He said “we don’t turn vehicles away “. Most would. Workers were pleasant and professional. The service is always great and the staff is always so nice and welcoming. Despite the wait because it was a weekend and that’s expected the service itself was quick. I think that ALL your service people are very nice. However I do think you need to leave a box of Snickers bars in office. Because Steve is NOT Steve when he is HUNGRY!!!! Also Andy always goes above and beyond for customers this time he went way way way above. He is a very good PERSON ALL AROUND!!!! Brian was on vacation and you could TELL,a lot mishaps. The customer service in this place is exceptional. I never had a problem and always greeted with a smile. Fantastic service, associates, and customer service overlap. The Stroudsburg location has to be in my opinion the Pinnacle of world-class customer service and support. The staff was wonderful, very friendly. Also they complete the job fast and no pressure to buy their product. The tech adding the oil to my vehicle seemed unsure if it was an adequate amount and kept checking with his colleague. I understand if he was new and ,of course, would rather him check than assume, but it did make me a little uneasy. This was my first visit and maybe that’s normal procedure? This was my 2nd visit and I was told I had missing bolts on my air filter cover. When I told the attendant that during my previous visit I had the air filter changed, is probably the reason bolts are missing, he quickly denied my claim as an oversight of the previous tech to document the missing bolts. The asst manager is the one I always get and he's awesome. Very transparent and courteous. Very friendly and professional. Anthony and Isaiah were great ! Keep up the good work! I always go to Valvoline for my oil change. Never any issues. As advertised, they were prompt and professional. They were informative and included me in the process the whole time! It was fast and the employees are great. Also I was sent a coupon! The ease of staying in the vehicle and virtually being a part of the process was refreshing. I was in and out of there in no time at all and was happy with the knowledge I got from the safety check. I've already told two other people about it who used to drop their cars at a service station and leave them there for a day just to get the oil changed. Customer service was great ! My only complaint is that later that day my windshield fluid was empty and I was told that all fluids were checked . I was told I had been using the wrong type of oil. The tech knew the correct oil I should be using and told me it’s in my owners manual. The service was thorough and all of the necessary checks were completed. Steve discovered that the anti freeze level was low and I was given the opportunity to fill that to the proper level. My experience was very good. The guys are fast,professional and friendly. I was very impressed. They checked everything on my car and informed me of all repairs needed. And it was the fastest service I’ve ever got not to mention I didn’t have to get out the car. The staff was professional and courteous. I appreciate the system of calling out the work as it's about to be started and when it's completed. It's an excellent system of checks and balances to ensure the work is done and the workers remain safe. i also needed tire rotation and it went well and was done quickly. Noel was my representative. He was polite and courteous. Very refreshing. I will be returning. I Have been a customer for years. I like the service and expertise of the auto techs. The staff here are awesome. Extremely efficient and knowledgeable. I always bring my cards to this valvoline. All went according to expectations. Staff was very friendly and the service was quick and well-explained. Aaron Thomas the assistant manager and his staff are always professional. They are hard working and get the job done. I am a true fan of this Valvoline facility. THey are fast, professional, courteous and tell you what needs to be done and whether they can help or not. I like this facility and have been going to them exclusively since I moved to East Stroudsburg, PA.
Fast service at high quality. Don’t have to wait and can remain in my car. Easiest oil change ever done. Great communication with everything being done and all recommended services . Noel was so polite and courteous. Definitely one of the best employees working at Valvoline ! Great service. Technician was very Respectful. Aaron talked with me the whole time and made me feel comfortable and cared for...he brought my air filter to me to show me how dirty it was but did not push to change it. i had an awesome, quick service.All 3 people that worked with me were great! I had a coupon for $19.99 but total was over $30.00 ???? Convenience and courtesy of all of the staff. Always quick, polite, and friendly. Instant access. Thorough review of vehicle. Good price for service rendered on this visit. The mechanic was very courteous and told me everything he was doing...also guided me in and out of bay as I was a little nervous. The gentleman that helped me was super friendly and very helpful. He went above and beyond to make sure i was satisfied with my service. I was very happy with my entire visit. Very quick and excellent service! Employees courteous, pleasant and knowledgeable. I appreciate the awesome customer service that I receive every time I come here for service. Today Brian (Manager) and Isaiah (trainee) worked on my car and I was impressed and see why everyone is efficient, consistent and very professional. I did get recommendations but budget is a bit strained right now and I wasn’t pressured and will get on my next visit. Great work see you again soon. I was highly satisfied because I was in and out. My customer representative was very pleasant to deal with and he knew what he was doing. love this place. going back today with my Kia. You're in and out and the price is fair and the best thing is no appointment needed! Everyone was polite and to the point. They explained what they were doing to the car as they were doing it. Staff was polite & knowledgeable. Aaron was fantastic!! Polite, courteous employees! Quick service and excellent value. Had a coupon for $19.95 for oil change but was told after I needed more oil than what the coupon covered?! Very misleading!! Also charged for filter but thinking about it ....it was never explained or mentioned until I asked about the increased price. And I don’t remember seeing a filter put in. Thank you for sending me this survey. It has made me very skeptical about returning to use your service after evaluating the service. Arron was so kind and very professional. Will definitely be coming back because of him. The staff courtesy was A-1 and the service is always great. Thank you VALVOLINE! Very nice job in keeping me in the loop during the wait time. I needed synthetic oil on a new car. I wasnt happy with the price. They fully explained factory recommendations, why it needed the oil, and answered all questions. Hit bullet/button too quickly. Definitely: Highly Satisfied. I had a very nice experience, the service men were very polite. I trust these guys st this shop!They speak to me as a friend, not a dollar sign ! Excellent all-around customer service. Quick, professional, courteous, competent. Will definitely return. Polite professional skilled patient staff. Worth the money. They checked my fluids and told me what else needed to be done. They were not forceful about it. The staff was very friendly. We were lucky and there was no one ahead of us so were taken in immediately and had the entire staff attending to our vehicle. The guy at the computer explained everything they did and having a new vehicle he agreed we didn't need an air filter this time after seeing ours. He also advised what we should do next time. I needed to return it for the check engine light was on after the oil change not before. I was very satisfied with the service all the way around. The tech Steve was excellent...explaining everything as he went through the service. He has great customer service skills and a very nice personality. Again, very satisfied with the service, thank you! Service was through,fast, professional. Service technician was friendly. Service and making sure all fluid's and tire pressure was good. I am a repeat customer and have been going to this location for years. Everyone is always nice and they work quickly and efficiently to get you back on the road. I have never had an issue with any of times I have gotten an oil change and I will continue to go to this location. Thank you for always providing awesome service! There is always room for improvement but the team did what was expected and I was in and out of there quickly which I really appreciate. The manager of this particular Valvoline is very efficient! Steve and Jeff at the Stroudsburg Valvoline made getting my oil change quick and easy. Nothing was hidden. I never did the drive through oil change before. this was a really great experience. I will definitely be back when this car is due and when my other vehicle is due for an oil change. Thanks again to Jeff and Steve for great service! We liked the quick service and the ability to stay in our car throughout the process. Steve was fantastic. He seemed to have a lot of knowledge about everything that was discussed. I wasn’t expecting this level of service from a place in the Stroudsburg area. I’m definitely coming back for my next oil change. Brian is always so polite and professional. Well, as it is located directly across the street from Teddy's Tavern....it makes it super convenient to drop my truck or van off & go over to Teddy's for lunch & just like that when i'm done with lunch...my oil change is complete. Prompt service, in addition to verifying my oil levels after the job. Never seen that before. Very impressive. Checked tire pressures and topped off my windshield wiper fluids which was very low to begin with. The customer service representative was very polite,pleasant,and professional. Price for a synthetic blend oil change is double the price any where else in the area. We were treated with respect and we were also treated with the utmost courtesy!A real pleasure! Pleasant technician. I was told how long I wo uld have to wait . I had time so I waited.First time experience at a drive through oil change. I would highly recommend it. 1st time customer. amazed by the product! well run operation. pleasant staff/techs. appreciated info about other maintenance items needed without "sales pitch". Same team as last time. (Jiffy Lube seems to have new people all the time. )They all work well together, and it is clear everyone cares about their work. It is fast service. I like that I can wait in my car while the oil change is being completed. The staff are always courteous. I was impressed at how fast the service is! In the past I have waited for hours at other businesses for the same service. Fast service, knowledgeable staff, good price, convenient location, no problems. The employees were very courteous took the time to answer all questions promptly. The oil change was quick I love the fact I did not have to get out the car. A I was able to watch them work. The staff was friendly and knowledgeable i will be a customer for life great job!!! They didn’t refill my windshield. Staff is really friendly and communicate to you any isssues they see with your vehicle. They check tires pressure and lights. Some places only do the oil change and nothing more, this place takes the oil change to the next level and it’s way faster then anywhere else. I pulled right in quickly without waiting and once I was in the guys there were very friendly like always and efficient. Aaron is always very helpful and pleasant and Jeff there today was very helpful as well. Would recommend to anyone for fast friendly customer service. one of the employees was extremely rude with sarcasm. I am a retired mechanic and I found the staff to be very prossesional and experienced. The service for the cost is great. I brought 2 of my cars in in 2 days, and will go back. Brian, the manager, has always greeted me when I arrive. The staff at this location is friendly and always have smiles on their faces. I was greeted upon arrival. The wait to be serviced was acceptable. My representative was courteous and applied no pressure for me to buy anything while demonstrating what services could be added. I was disappointed, however, that one of my daytime running lights couldn’t be replaced because of its location. 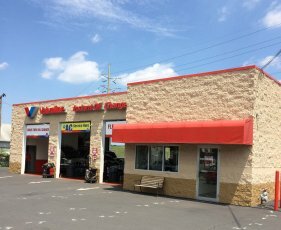 EVERY time I've used this particular Valvoline the staff has been concise, efficient, courteous, knowledgeable, and have given the best service. I recommend this place to EVERYONE. The service provided is excellent! All the staff give 110%. friendly and they showed me the air filter and told me it was good. the wiper on passenger side was a little worn and i was not pressured to buy a new one. will replace at oil change in the spring. It is always a pleasure to visit this location. Very courteous, professional and fair prices. Always a great experience at the Stroudsburg PA store. The manager, Brian, is one of the most professional people I’ve ever encountered. It is very obvious that he requires a lot of his staff and their performance reflects that. Each time I visit I am impressed at how all of the staff operates and interacts with me and the other customers. I recommend this place to anyone I know and will continue to patronize it. It was fast and I was able to use a coupon. Staff were friendly. Very friendly staff. Quick oil change. They check all fluids and tires. Very professional workers. The attendant was kind, courteous and knowledgeable. I enjoy coming here because I don't have to get out of my car. They check everything out so when I drive off I know what I need to get done next time or they will fix or replace filters while I am still there. Everyone is nice. I enjoy how professional and personable they are and show they care about your vehicle. I gave a $5.00 tip because it's the holiday and I only got my oil tapped off. Worker's very nice and professional. Service was excellent. The young guys there were all very friendly. They went right to work. One of them just loved my dog who came with me! There was no other customer at the time, so they had plenty of help.This was my first experience with Valvoline and I was very pleased. In fact, my daughter had been there only days earlier and she is the one who recommended it to me.Thanks. Everyone has a job to do . They check all around the car and do a nice job in and out very well done!! My only concern was the use of synthetic oil agent stated required for chevy trucks I have no knowledge of that it was not done at my last serivce I felt it was an unnecessary up charge. If not for that fact I would rate this service extremely high very quick very nice gentlemen very efficient I did not wait my first visit the manager came out contacted me to help me as I did not know how to proceed. I will research the oil issue and make a decision whether to return again. In ,received an oil change , and was on my way. The way an instant oil change should be. In and out quickly at a very affordable price! I didn't get the usual inspection of my lights and turn signals...it seems as though everyone was in a rush. Never experienced this before. The manager is very polite and have knowledge about cars. Staff are always good to me and my wife. Now she can service her car without the concern of strange mechanic man's, and filt places. Nice and neat that what we expect and fair price for a high quality products and services. I wish I have more coupons....lol just saying. Thanks for this place. I was shocked. I was very early so, no wait. Never even got out of my car. Service done in about 10 minutes & I paid by debit card & was out the door. unbelievable! Great service and attitude towards me. I love the convenience of being able sit in the car and let my baby sleep peacefully. Closest service area is 40 mins and its always been worth the drive. Service was quick and we were out of there quickly!! I was in and out, my service guy also gave me recommendation on where to get car fix to pass my inspection. The staff crew were very pleasant helpful and eager to answers my questions. Manager Brian is extremely helpful and friendly. He should be considered a valued employee. I never have to wait. The workers are thorough and polite. I don’t even get out of my vehicle. I’m sure my vehicle is in safe condition when I leave! These guys had all the bays full and a line yet managed to be friendly. Always happy with the way this place is ran. Very friendly and promptly done by a group of experts. The fastest I’ve ever had an oil change and tire rotation done in a matter of minutes. The absolute best and will be back with my second car. Thank you valvoline and staff! Very friendly service tech. Fast service! I was really amazed! Quick and convenient service with little or no wasted time at the facility. Based on time management, this facility was able to conduct the work quickly without taking too much of my time. This was just an overall perfect experience. I had called and the gentleman was super friendly and helpful Then I came in for an oil change less than 15 minutes to have this done and everyone was friendly. This is my go to place now for sure. Jeff was very informative and polite and explained everything they were doing. I have very little time left in my life when I can get a oil change fast and get back on the road fast that worth paying your very expensive prices the main reason for using your service is the speed of your service. I go to the dealer I have to wait. I go to a station I have to wait. I go to jiffy I get out fast but I don't know any jiffy lube around here after you took over the old jiffy lube location. Open the bathroom and waiting area again like before. Staff was knowledgeable and assistant manager was very experienced and friendly. Joe was awesome!! He was friends, knowledgeable and get me in and put of the door quickly. I went to Valvoline because my Fiance goes there. And funny enough, Joe, the assistant manager was the same gentleman that I used to deal with at the other place I used to go! He has always been a very nice guy, respectful, friendly, helpful, knowledgeable, and understanding. The entire staff was professional and helpful. I am definitely going to recommend every one I know to go there! You have a great staff at that store and i'll definitely be back regularly since 'My oil guy' is there! There's a reason I went, and I've always liked the way Joe treated his staff and customers. Glad I found him again! I like to get the end result quick,I did. Very courteous people, work done efficiently, good explanations of service needs and what was being done. FAST service, which at times I really need! Great service! It was FAST and that is exactly what I wanted! The staff members are smart, courteous and knowledgeable. They didn’t make any comments about being overdue for an oil change and therefore I would feel very comfortable returning. I loved that I could just drive right in without an appointment. Checking all systems makes me aware of personal upkeep to the car. Heavy corrosion on a battery terminal had not been done by me in September. Staff made it clear that it needed attention. Staff is always heard communicating other fluid checks. Tire pressure adjustments as the temperatures change being adjusted also brings peace of mind. I must admit the money I save with the coupon usually goes to tip the service folks. I always remind them to slip the person in the trench their share. I used a Groupon 24.99 and then a gasket replacement was done I guess they did it but they never told me. And they charged me 3 dollars extra. Overall the car is running smoothly and oil change was done. they where polite and quick, and they worked as a team and got the job done. I thought I would multi task so I brought my Mcdonald's lunch with me, I had to hurry to finish by the time they where finished. perfect. It was quick and proffessional. The staff at the location on 2nd St in Stroudsburg are ALWAYS a pleasure to work with. The are extremely honest, personal and friendly. Brian,Joe, and the entire team focused on my needs and helped me resolve all my issues...they are consistent in their approach to service and customer care and especially kind and patient with seniors...top notch in every way. Their quick. Efficient and clean. And the price is perfect. They freaked me out by running out to my car. No other customers present. I normally do my own oil changes, but was in a bind on this one, not my car n out to my car as I pulled in. no other customers present. Joe provided outstanding customer service and care. It was the easiest and most thorough oil change I’ve experienced. This is a terrific shop with excellent technicians. I trust that they have my best interest and appreciate me as a returning customer. This is not my first rave for service and I expect it will not be the last. Well done. Thank you. I paid $80 for an oil change. Just feels a little pricey. Pleasant, efficient and no pressure for additional services. The attendant did not check tire pressure. Nor did he check my other fluid levels. The staff were very courteous and answered all my questions with ease. Brian and his team always pay great attention to detail! Staff were very friendly and knowledgeable. Joe was great, explained everything as he went through the process. The staff was friendly and completed my visit in a very timely manner. Friendly staff. They moved quickly to get the oil change done. Fast, professional, not too expensive. I was greeted as soon as I pulled my car up to the bay. The technition explained to me what he did . They all work together well. Very friendly staff. All of the associates were very friendly and helpful. took all info needed to service my car. also had a great sense of humor. will be back. The gentleman who worked on my vehicle was really knowledgeable, helpful and went above and beyond. They all work as a team to ensure a smooth runnning machine! I highly recommend this location! The fellow who oversaw my service was polite and professional. He was so great I felt compelled to give him a tip. Everyone helpful, courteous and knowledgable. The price was double what I used to pay since the last visit. The manager Brian Teague runs a well organized tight ship. It’s always consistent. Answers concerns. I had a new technician who delivered the service very wonderfully, but he did not mention the need to winterize and other fixes my car may need. In the past I worked with both Joe and Brian, the manager, on doing good maintenance for my Suzuki, and they always made suggestions and gave me status on the brake, battery, and even the wiper status. The new person just did what I asked, which is ok, but this time the oil change experience felt incomplete. I will have to return to winterize.Overall, this was still a GREAT experience, but it just felt incomplete. Very fast and efficient. The crew works as a team. They are informative and friendly. Quick, yet competent and complete service. Detailed explanation of service and how it improves the performance of my car. Fast and courteous service. Everyone was very helpful. The service was quick and I did not feel pressured. I didn't feel like they were trying to up sell me. That was nice! For example the compared my filter to a new one and told me I probably don't need a new filter. I did feel a little nickel and dimed by the "Extra oil charge"
Everything about my Stroudsburg Valvoline is first rate. Very professional. I always feel confident in their attention to detail and that my SUV will be in top mechanical condition until my next visit! Time of service was quicker then I thought it would be. Very satisfied, great group of guys. Clear and to the point. In and out. I was highly satisfied because I did not have to wait for the service, most other local oil changes areas have several hours of wait time. To be able to pull up and get serviced immediately on a weekend was unimaginable to me.......that is until visiting Valvoline. I was unexpectedly traveling and could’nt get the oil change before leaving my hometown in NC. I like that Valvoline knows me as a regular and have me in their system. Enjoyed the professional service I received. Always friendly & quick. Manager replaced plug/gasket when saw wear & tear. All employees & manager very friendly & professional. They knew what they were doing, seemed well qualified and finished the job in record time. The station was very busy at the time with many customers coming & going. I would go there again. Always have a good experience at this Valvoline oil change facility. The service techs at Stroudsburg PA are tops and the Manager Brian Tique is very experienced and makes sure the job is done right. I've been going to this facility for several years now and have never had a bad experience. My husband and I had 2 vehicles serviced and so we dealt with 2 -3 workers. They were ALL friendly and knowledgeable and I must say we were very impressed and grateful. The only thing that may stop us from returning is that it was a bit expensive. But the workers are to be commended for their service and friendliness! The day after my car began shaking. This was not a problem at all before. The exact day after I went there, my car has this problem. our Technician was excellent. Explained the process in detail from start to finish. Found out we will need a new battery soon which was helpful. The employees were very professional. They were helpful and respectful. They explained everything thoroughly. Very courteous and informative. all the technitions were very helpful, knowledgeable, and professional. No one forced me to purchase any add ons, instead they simply recommended things they would use. Thank you for being so honest with all your checks and not making me feel pressured at any time. Quick efficient and thorough! Good communication! Staff is very courteous and friendly! The team, in particular Joseph, was incredibly friendly and knowledgable. The service was fast and professional. This location is top notch, very knowledgeable,friendly and fast. No waiting. The whole team pitched in on my vehicle. They worked so well together. Excellent experience. Did a great, timely job. Very courteous staff and knowledgeable. Far and easy service. The price of the oil was my only shock. I have paid 65.00 at other places for that oil. Aaron was the person who attended to my oil change and he was fantastic! He was super knowledgeable, very friendly and in general just a pleasure to meet. He was not pushy but rather personable when informing me of the extra maintainence I needed to purchase for my truck. He made me feel like I was his friend not his customer and it’s important to feel like a person within an environment like that, especially being a woman. They guys were awesome. Service was top notch. Very speedy. Having a busy schedule it was so nice to be out within 25 mins. The Asst. Manager did my service he was really good. I needed filter change he showed me how dirty my filters were. Did not pressure me to change them. But of course I did. Service personal personable & knowledgable. Friendly and clean atmosphere. This location is an excellent location. It’s run very well and everyone is friendly. The visit before this one they cleaned my battery terminals. In only a months time they were corroded again. The manager Brian took the time to clean them again at no charge. I appreciated him doing that. This is one of the reasons that keep bringing me back. Your excellent records indicated that I used the upgraded oil so it was a 5000 mile before the next check up even though the windshield tag stated 3000. Instead of changing the oil the technician informed me that I had 2000 more miles to go. He was very honest and I would not have known the difference. I told the manager how much I appreciated his honesty. I've been a very satisfied customer with all my vehicles. They staff is always friendly, never any pressure about getting any extra services which is always a good thing. The staff does recomend things that should be serviced , but it's a lot of service the company doesn't provide which is a bad thing because the service you get is so well. The techs were very polite and professional. I like the way they communicated everything they were doing. Brian Teague. Manager of Stroudsburg pa Branch, runs tight ship with efficiency. Did a nice job checked everything new what he was doing a nice visit keep it up. Friendly,helpful,courteous, staff and very polite. They were also very thorough and no beating around the bush about the price. Wil definitely use this facility again. Thank you. the staff was friendly they new what they were doing and did it fast and thoroughly. always used it all ways will every one in my family uses it and all ways will. Everyone is very nice and are experts. Brian is a great manager and he was available to answer any questions from me and his staff. A very nice place to go and get good work done. From start to finish the men were knowledgeable polite and efficient. I couldn’t have been happier with my service!!!! I paid $100 for an oil change! Robbery! Service was quick, easy, and efficient. Jake was the technician providing the service. He was extremely courteous and knowledgeable. Explained everything in detail as he proceeded with the service. Fair prices, quickly service, nice and polite staff, clean place. I thought the customer service should have taken more time to explain what was checked. My air filter was checked and was fine but they never mentioned it or showed it to me.. The two gentlemen were very nice and provided great care and very pleasant. The Valvoline Employees provided the highest quality of service and goes above and beyond the call of duty. The Service Station was closing, your employees allowed all the customer inside the bay and performed all the services the customer requested and never complained. Job Well Done. I know the staff now. Manager was an ex student of mine. have seen men move up to Assistant manager. Curious why women do not apply to this type job. Just the culture around automotive repairs I suppose. I feel the services are very expensive. Every time I go for an oil change, I spend close to $100. I realize synthetic oil is more expensive, but I still feel it shouldn't cost so much for maintenance that is required so frequently. It is more than twice what it cost to buy the stuff and do it yourself . It was exactly as I expected. I know what they do and how it works. Because I’ve been there before it wasn’t a surprise as to the good work they do. Joe and Jake, the technicians that serviced my vehicle were professional, friendly and patient. The answered all of my questions and made me feel very comfortable with the servicing of my vehicle. These employees are stars and should be acknowledged for their excellent work! In and out service. Do not have to take away from your day. Quick service and looks like they know what they're doing.. I didnt anticipate waiting outside for about 5 minuets when I arrived, but the staff was friendly and knowledgeable. Overall i am a satisfied customer and i plan on returning for my next oil change. Thank you guys! Quick, convienant, polite, friendly, priced right. Eli and Aaron toke care of my vehicle very quickly. Were very professional and explained about all the services valvoline has. Superb service. I didn't have to wait to get serviced and was able to pull right into the Valvoline Garage where serviced began immediately. The two attendants servicing my vehicle were cordial, knowledgeable and expedient. Quick, efficient, pleasant/courteous - good value & good price. None of the nonsense that I have had with dealerships giving me an appointment to wait a week or more just to have this same service done.